Dr. Yoon Hammer, in her introduction to her guest edited FULLER magazine on the topic of restoration. Read more. 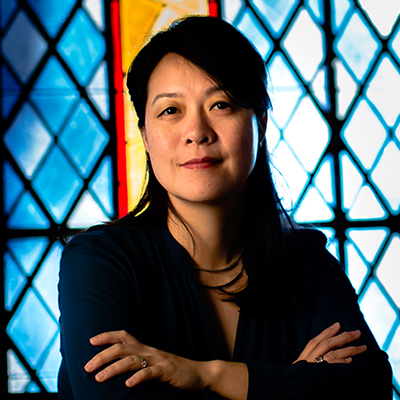 Miyoung Yoon Hammer serves as associate professor of marriage and family therapy and, as of 2016, chair of the Department of Marriage and Family Therapy. Prior to joining the Fuller faculty in 2009, Miyoung Yoon Hammer worked as a medical family therapist (MedFT), providing therapy for patients and their families in hospital, outpatient, and private practice settings. She also served as an associate faculty member at the Chicago Center for Family Health, an affiliate of the University of Chicago. Currently, she teaches a course on medical family therapy, which focuses on working collaboratively with families affected by illness and their healthcare practitioners both within and outside the medical environment. In addition to her MedFT focus, Yoon Hammer’s training and research interests involve the practitioner’s experience and perspective regarding their personal and professional development. In her classes she addresses this self-of-the-therapist process, encouraging students to explore their past and current contexts to better understand themselves and to develop an awareness of how their own family and faith narratives inform their clinical work. Outside the classroom, Yoon Hammer is a live supervisor for MFT students in the Restoration Therapy Model at Lake Avenue Counseling Center. Yoon Hammer is a member of the Collaborative Family Health Association (CFHA), the Christian Association for Psychological Studies (CAPS), and the American Family Therapy Academy (AFTA). She is also a licensed marriage and family therapist (LMFT) in California and Illinois.